Customer called Sunny Appliance Repair because their gas dryer suddenly stopped heating, even though the drum was spinning. This is the most common issue, that 80% of dryer owners might face. Customer called Sunny Appliance Repair because his washer wouldn't spin to the full capacity, so clothes would come out soaking wet. Our technician, Adam, came out for the diagnostic. First, he checked if transmission was working fine. Next, he made sure that the clutch between the motor and transmission was working. The clutch looked like new, but the spring inside it was worn out and it wasn't rigid enough. Adam decided that the best thing to do would be to replace the clutch, and the customer agreed. Next morning Adam picked up the right clutch for that washer model. 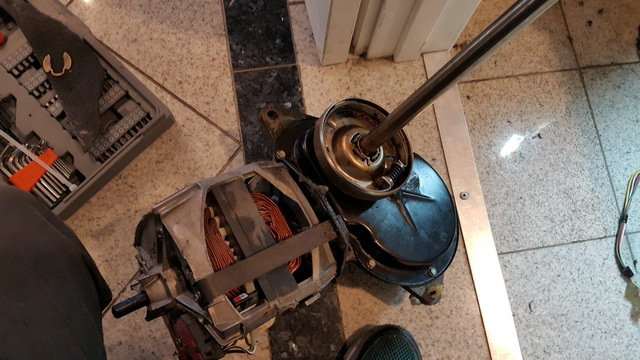 He replaced the clutch and the washer started spinning as if it was brand-new and the clothes came out of the washer with minimum amount of moisture, perfectly ready to go in the dryer. Our customer was satisfied with Adam's job and the results of his professional washer repair. 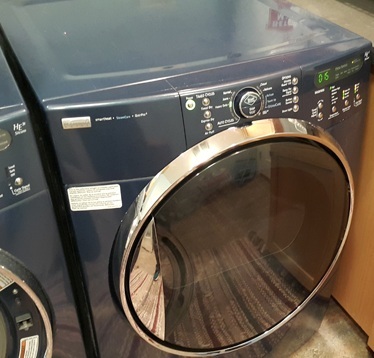 Client came to us with a problematic LG washer (model WT4801CW) that was not working. Our technician was sent out to see what was going on.